Why is my Internet so slow? – Top 6 Fixes! People say that the best way to tell a person’s true characteristics is to see how they react in the face of slow internet. However, this joke sounds less funny when we are dangling over the deadline. In this post, we will share with you the most common reasons why your internet is slow and the appropriate response to them. Top 6: The first thing to do is always call your internet service provider (ISP). If the network connection suddenly slows down, you should find out whether it is the problem with the whole area, just to save you some troubleshooting time. Top 5: The more people are online, the slower the connection gets. When more people are at home or on weekends, you will see the connection becomes slower than at midnight. If you are using the internet at around 7 or 8 p.m when most people are online, it is suggested that you choose a different time range. Top 4: Make sure that your computer is in good health. Spyware and viruses could be the culprits to slow down your internet connection. And add-on programs on your browser, such as multimedia add-ons, and search bars which are usually seen on your browser’s toolbar could sometimes be the problem. Run a full system scan with your antivirus program to see if there is any suspicious programs that you need to remove. Then try disable the add-ons on your browser. 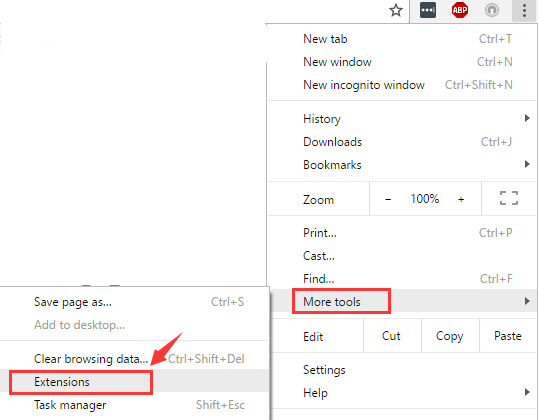 You can usually find them from Settings >> More tools >> Extensions. Or in some browsers: Tools >> Manage Add-ons. Disable all the add-ons. Then check to see if the problem remains. Top 3: Stop bandwidth-heavy programs, such as BitTorrent, from occupying too much network usage. Like all computer programs, internet connection requires a certain amount of memory and disk space to run smoothly. If you find that your internet connection is rather slow, try closing useless programs and web pages, since they might be stealing your speed to download or upload something without you knowing it. Top 2: For wireless network users, maybe move a little bit closer to the modem will help pick up the speed. Wireless network operate on frequencies that are similar to those used by devices such as microwave ovens or certain types of cordless phones, so there could be some interference with the PC network connection.You can use the above devices some other time when you are not using the internet. And just a mild reminder, you may need to lower your expectations a little bit since you are not always under very ideal circumstances. If you suspect that you are paying more than what you actually get, run a speed test and consult your ISP later. All of these refer to the downstream speed and they vary according to the quality of your reception. Top 1: Try restart your router or replace it with a new one. Think of your computer as a tiny computer which requires a regular restart. If this is the first time that you had any network connection problem, then you should consider yourself lucky. Most of the time, you just need to restart your router and the problem will go away. But routers don’t just break down all of a sudden, they slowly stop working without you noticing it right away. If you have ruled out all the other possible reasons why your internet is running slow, you may need to consider whether it is with your old router and you probably need to replace it. [SOLVED] | Overwatch Keeps Disconnecting | Quickly & Easily! [SOLVED] | Overwatch High Ping | Quickly & Easily!